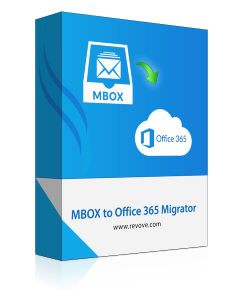 ﻿ MBOX to Office 365 Migration tool to Import Thunderbird, Mac Mail, Apple Mail, Entourage to Office 365 Thoroughly. 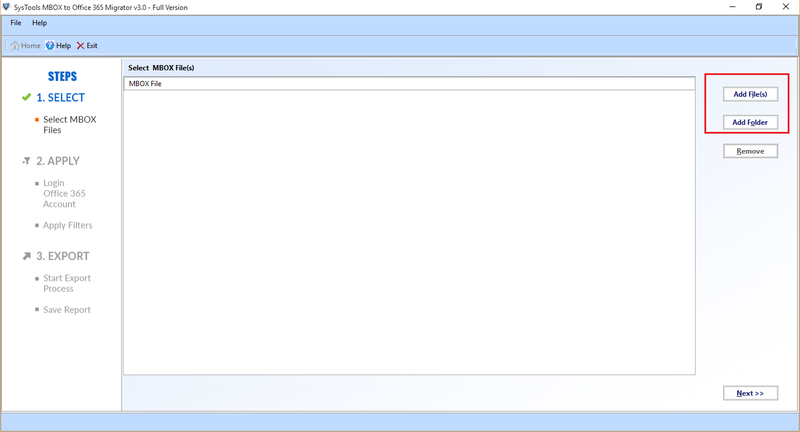 Advanced Date Filter Option to import MBOX File to Office 365 According to Date. Flexibility to Selectively Convert thunderbird mbox file to Office 365 with items such as Mails, Contacts, Calendars, and Tasks. Supports to Export MBOX files With or Without User Impersonation. Compatible With MBOX files of different Email Clients Such as Thunderbird, Mac Mail, Entourage, Apple Mail, SeaMonkey, Netscape, Pocomail, Eudora, Opera Mail and much more. The MBOX to Office 365 migration software provides the enhanced features to selectively migrate mbox files to Office 365. For this, you will have to select the mbox files by using the check or uncheck box provided there and then export it. It requires Office 365 Account name and the password for successful uploading of mbox files to O365. The MBOX to O365 software provides the free premium functionality to migrate bulk mbox mailboxes to Office 365 Via User Impersonation. For this, you will require the Admin User Name and the password. After that, you do not need to enter username and password every time. The MBOX to O365 migrator is configured with advanced date filter option that can deliberately helps to save time and space. The procedure is simple and easy.For this, User has to select the date range From & To. Then after MBOX to office 365 software automatically funneled the data from specified period to migrate to office 365. With the help of MBOX to Office 365 Software. 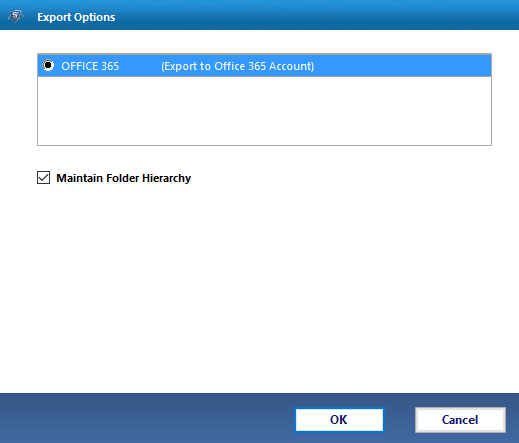 The user can export and saves the data of MBOX files into respective office 365 user accounts. This user account mapping can easily be performed by providing user credentials for each user separately. The MBOX to Office 365 Software performs the migration operations of MBOX files to Office 365 by following the simple procedure. The software provides the different categories to convert mbox files to office 365. The MBOX to Exchange Online software provides the facility to import multiple Mails to office 365. The MBOX to Exchange Online software also capable to migrate the single SBD file associated with each folder to O365. The tool is so proficient and practical to accurately migrate multiple mbox files to office 365. The MBOX to O365 Software also supports the corrupt or damaged mbox files of office 365 account directly. The software firstly removes all the corruption issues of mbox files and then smoothly import it to office 365 account in no time. The tool also supports to convert deleted mbox files data and export it exchange online. Demo version of MBOX to Exchange Online Software allows to Export first 25 Items from each folder. 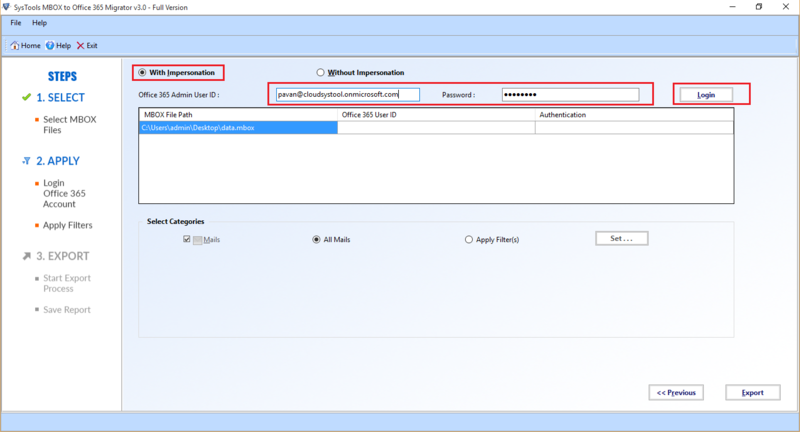 Is there any need of admin credentials to migrate bulk mbox files to office 365 directly via user impersonation? Yes, Admin credentials are importantly required for bulk migration of mbox files to exchange online. Does the software follow all security measures to export mac mail to office 365? Yes, Mac Mail to Office 365 migration tool is safe and secure to use. It performs all the operations in the isolated environment without any interference from other applications. Will I need any external software for the smooth migration of Thunderbird to Office 365? 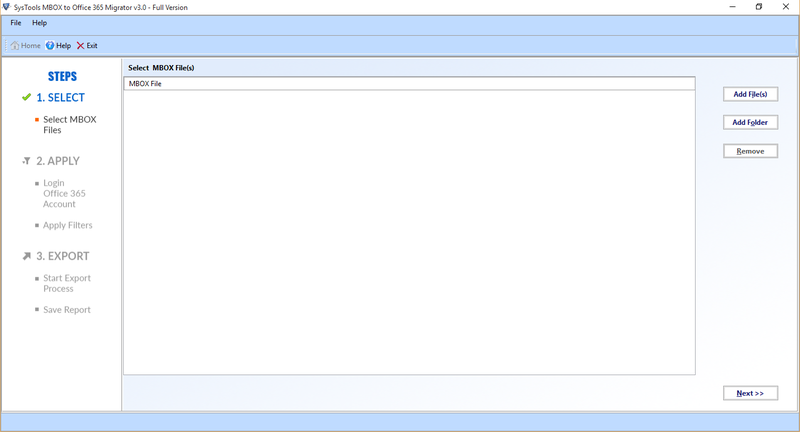 No, There no prerequisite of any external application to import Mozilla Thunderbird to O365. Can I selectively migrate entourage to office 365 with the software? Yes, you can definitely import entourage to office 365 selectively and precisely. With the help MBOX to O365 Migration tool, you can easily export Thunderbird to Office 365 with entire folders such as Inbox, Sent items, etc. The software maintains the folder hierarchy while converting Thunderbird to Office 365. It does not require the installation of Mozilla Thunderbird to easily import Thunderbird files to office 365 accounts. The MBOX to Exchange Online software is so procured and professional that it can also help to export apple mail to office 365 precisely and conveniently. You do not require any external application to import apple mail to office 365. You have to only browse apple mail files and the click on an export button that's it. The Import MBOX files to Office 365 migration software is one of the best software to export mac mail to office 365. It allows importing Mac mail items such as mails and other items directly to office 365 account. It does not require an installation of Mac Mail Email client for the mac mail to office 365 migration. The Entourage to Office 365 migration tool is so innovative and artificially smart to import entourage to office 365. It allows you to migrate entourage to office 365 completely. For connecting entourage to office 365, you have to browse the mbox file and then export it into office 365 account accurately and precisely. With the help of MBOX to Office 365 migration tool, I successfully migrate entourage email files to office 365 with precision. The software contains the well qualified features to import entourage to office 365. Therefore I would like to recommend it to other also for simple and easy migration of multiple mbox files supported email client such as Opera mail, Eudora etc. also to office 365. Thanks for such a nice software. I was looking forward to the migration of thunderbird to office 365. But does not find any satisfactory solution to easily import thunderbird mbox files into office 365. Then someone has recommended using MBOX to Office migrator tool for the same. I have used the software and securely and safely convert thunderbird to office 365. Thanks to developers for such nice software.